Short term but over 30 days. 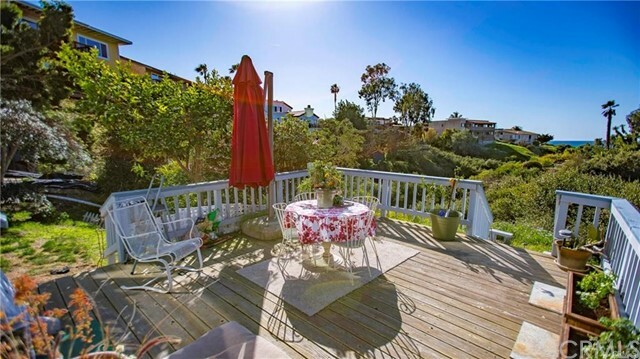 Property currently rented Nov 1 to Feb 28, 2019 Summer available.Fantastic location sitting along the Coastal Canyon of SW San Clemente Loop. Enjoy ocean views, sunsets and the sound of the seals in the distance. This home offers lots of space for entertaining, open floor plan to kitchen area with eat in breakfast nook. LARGE breakfast bar to enjoy chatting with the cook, gas cooktop. New stainless steel refrigerator. There are two decks located off the living areas, one with view. new ceiling fans. . Washer/dryer included. Master suite has it's own bath, mirrored wardrobe doors, two closets & shutters. Built in drawers. Property is furnished This is a three unit development and everyone has two parking spaces inside the common garage with door and storage. Stairs go down to entry. 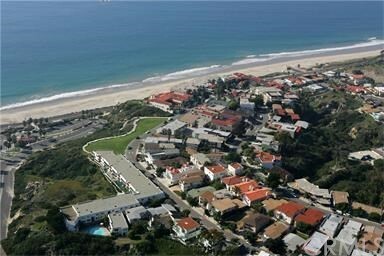 The " Loop " is know for proximity to water, Trestle's surf beach & neighborhood bluff top park. There is a beach trail that goes along the shore to the pier and also north beach train stop.